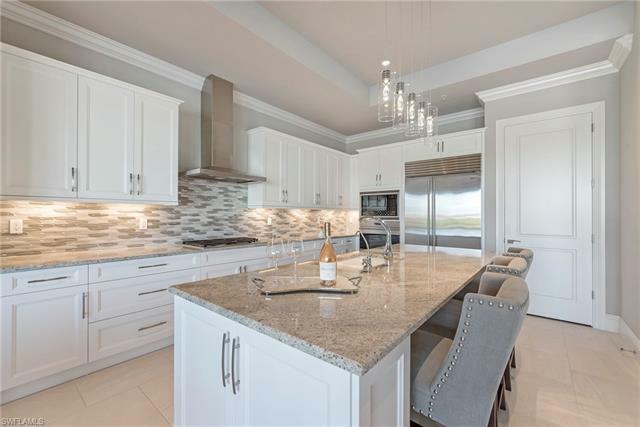 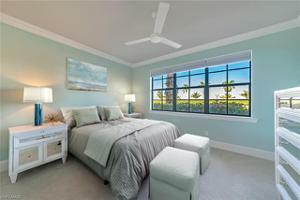 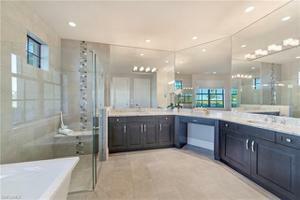 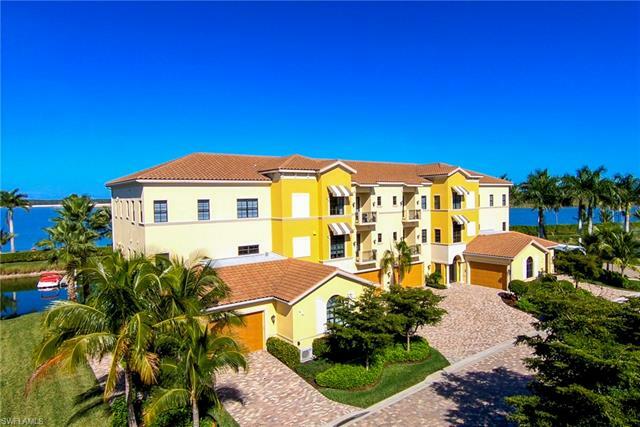 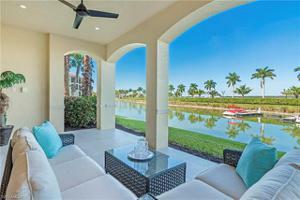 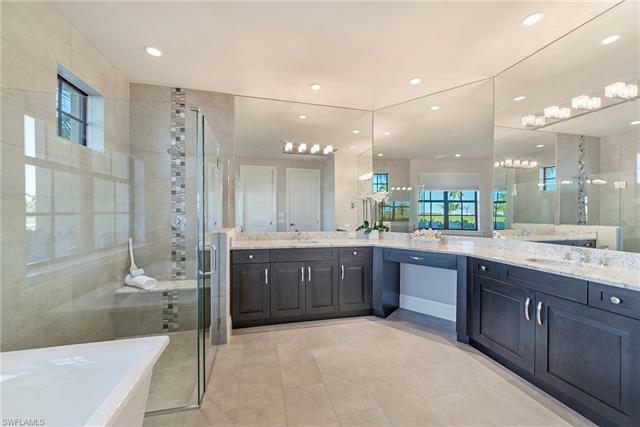 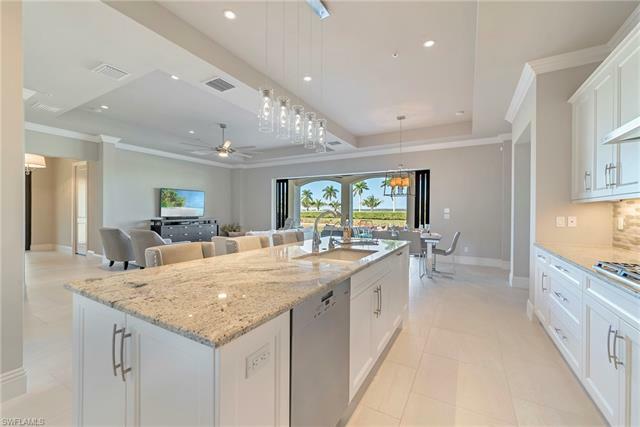 Enjoy a contemporary luxury lifestyle in this spacious home overlooking a quiet inlet of Miromar Lakes. 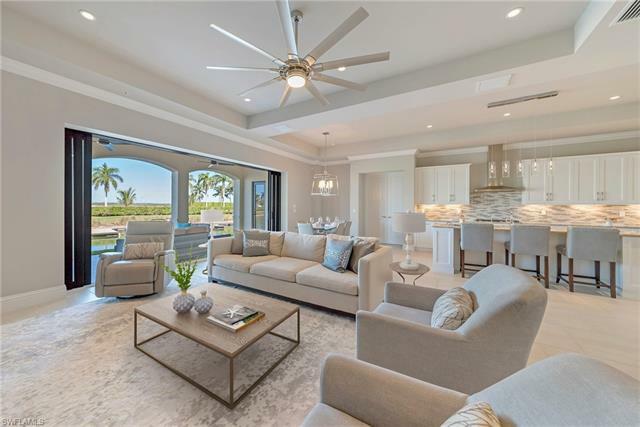 The bright and airy open-plan set an exemplary stage for relaxed entertaining. 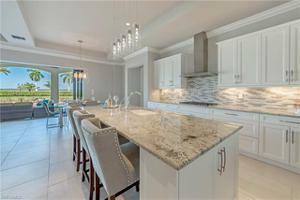 The sleek white chefs eat-in kitchen is fitted with modern hardware, high end appliances, and a breakfast bar. 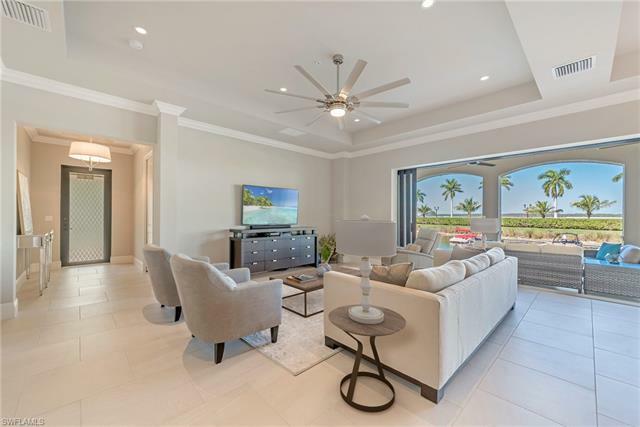 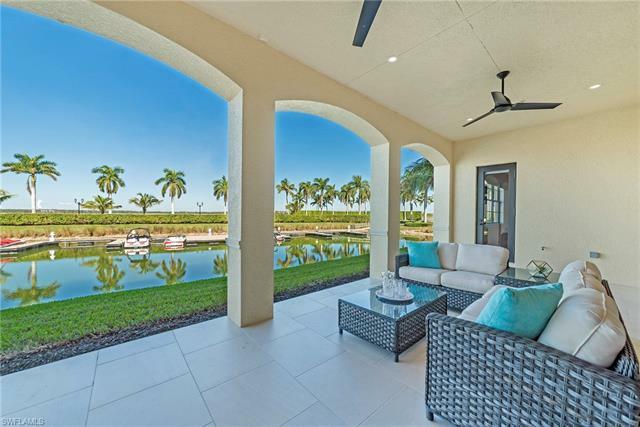 Easily stroll from the living room out to a roomy lanai, a perfect venue to enjoy morning coffee or glass of wine accompanied by the backdrop of a stunning Southwest Florida sunset. 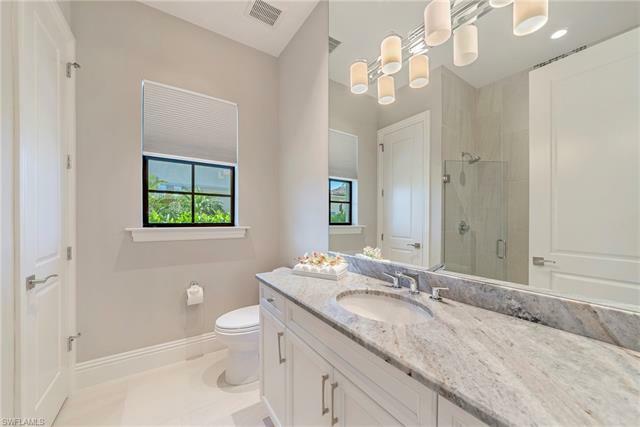 The Master Suite features a generous walk in closet and an en-suite bathroom with a deep soaking tub and a separate glass shower. 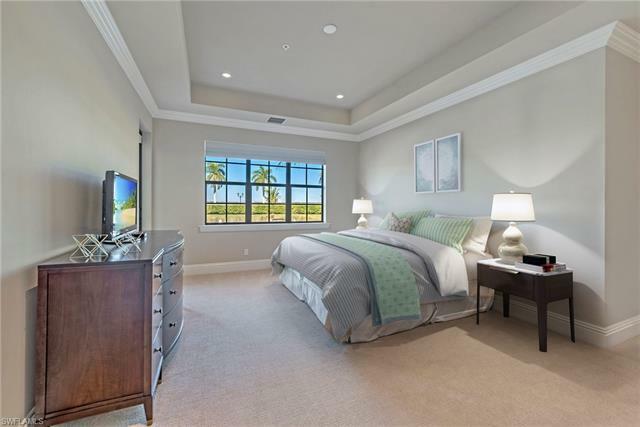 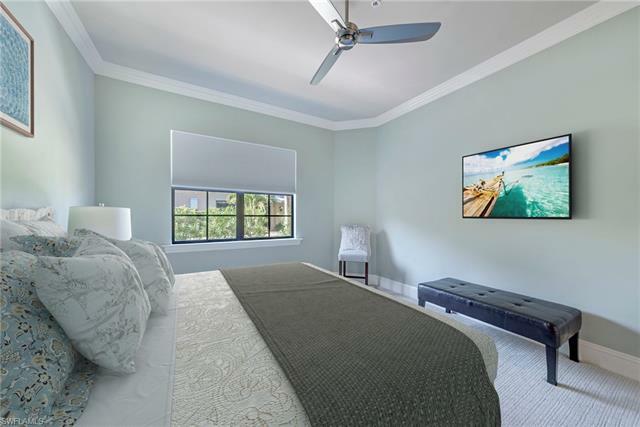 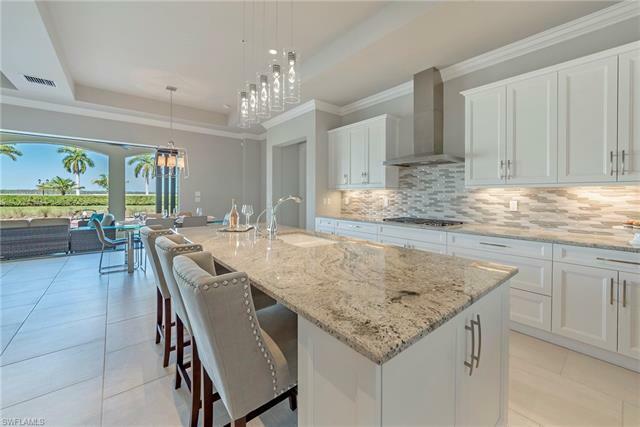 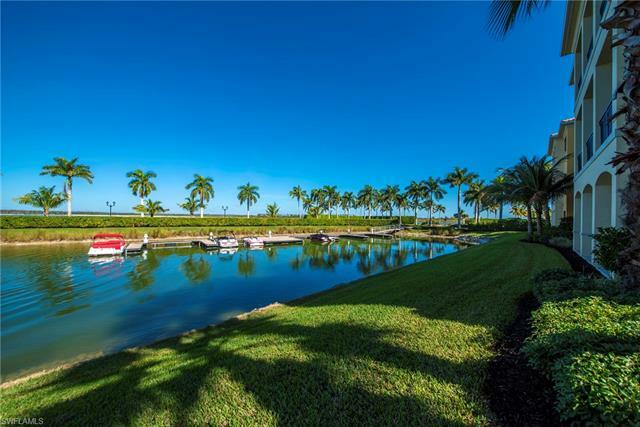 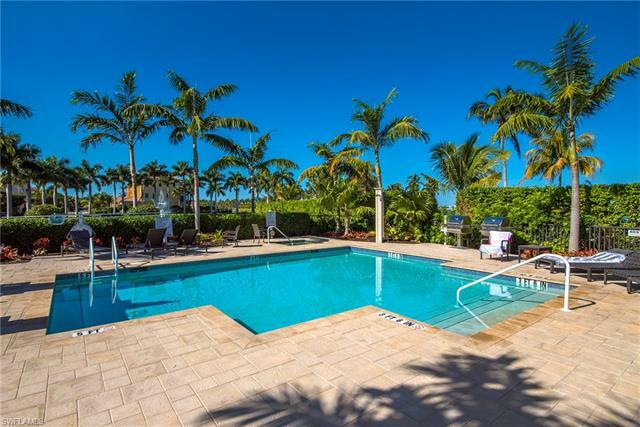 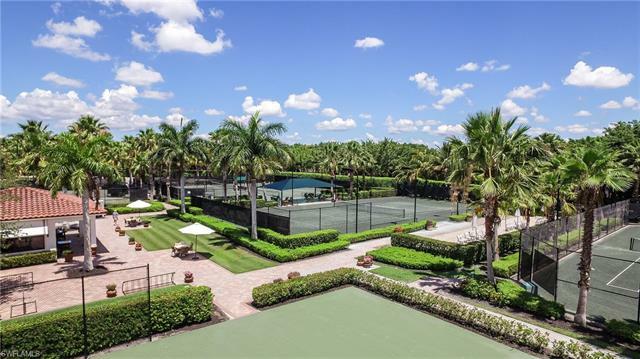 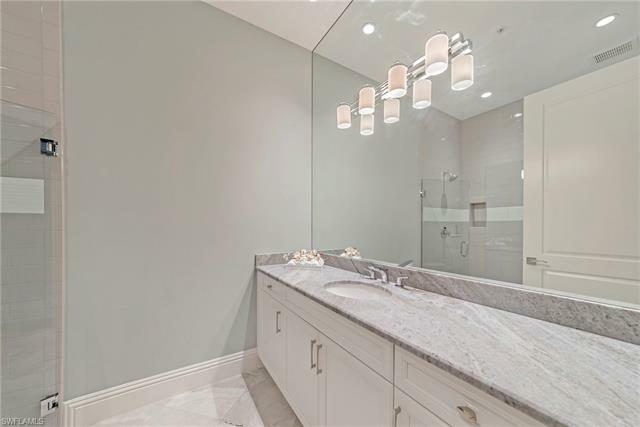 This spacious three-bedroom three bath end unit condominium is surrounded by manicured grounds and situated in the luxury Ravenna neighborhood of Miromar Lakes. 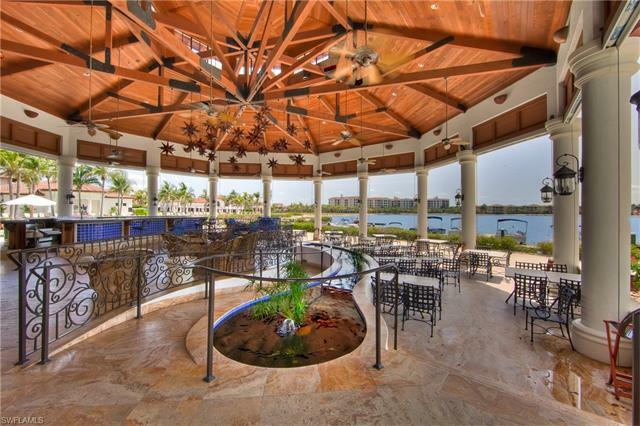 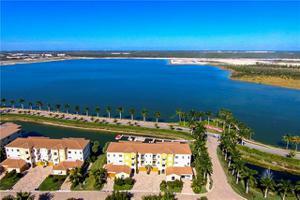 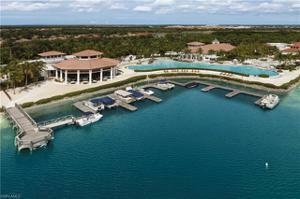 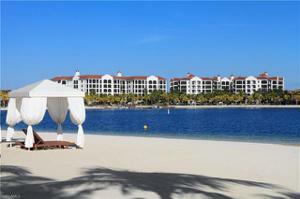 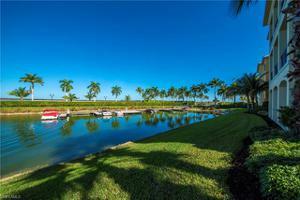 Miromar Lakes is a five-star resort style community offering first class amenities and a vibrant lifestyle. 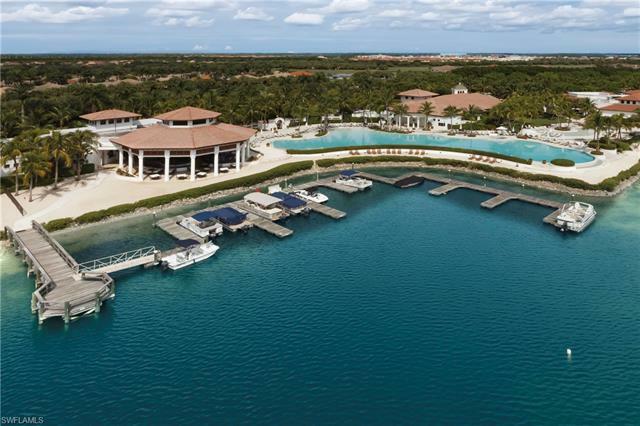 Enjoy the freshwater lake, infinity pool, tennis courts, championship golf course, two gourmet restaurants and a full-service European style wellness spa. 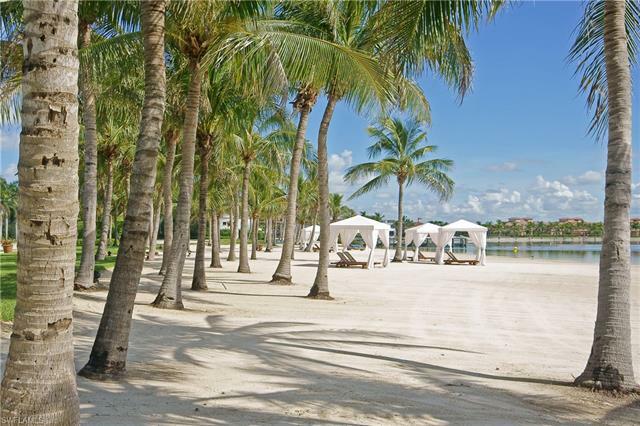 Relax by the pool or on a stretch of white sand beach and choose from a year-round social calendar of events and entertainment.